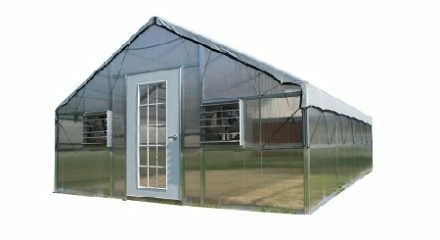 The Thoreau Premium Educational Greenhouse is designed for schools with horticulture programs, correctional institutions, and serious gardeners for both growing and therapeutic reasons. The Thoreau Premium Educational Greenhouse is 12 ft. wide. and a center peak of 9.5 ft. for optimal air circulation.